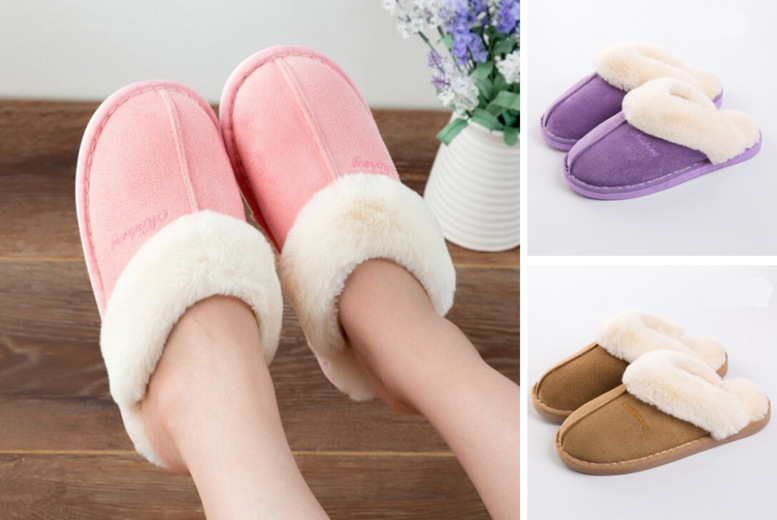 Get a pair of mule slippers! With faux fur lining and trim. And a non-slip hard sole. Choose between sand, pink and purple colour options.